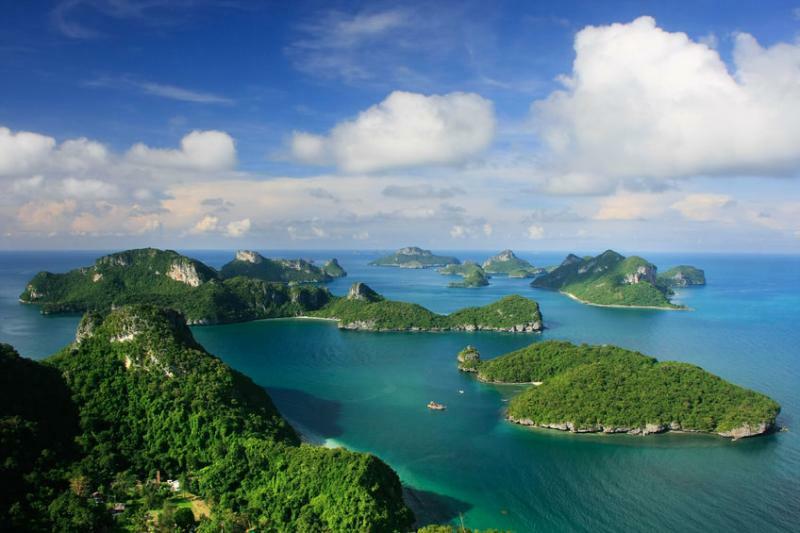 Mu Ko Ang Thong is a marine national park in the Gulf of Thailand in Surat Thani Province. It covers 42 islands in a total area of 102 km2, of which about 50 km2 are land and the rest is water. The park was established on 12 November 1980. The northern tip of Ko Phaluai is also part of the marine park. 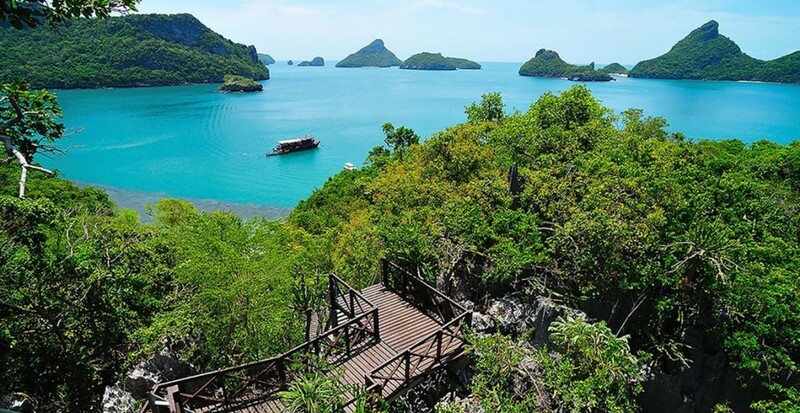 There is a ranger station, bungalows, a shop, and a restaurant at Ao Phi Beach on Ko Wua Talap. The name "Ang Thong" means 'bowl of gold'. "Mu Ko" simply means 'group of islands'. Since 2002 the park has been registered as Ramsar site number 1184.